Being an active part of the exhibition industry, we see on a daily basis what it takes to make the most of the trade show experience. First and foremost, you have to keep a positive attitude and be prepared for some good, hard work. 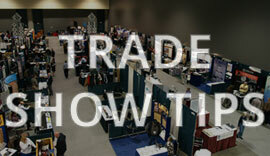 Dry statistics aside, trade shows are one of the best and most cost-effective sales tools available. They are also a great way to network with others in your industry and keep abreast of what direction the competition is heading. It is our hope that this will help you make the experience enjoyable and profitable. 1. Read all of your pre-show mailings. Look at the floorplan and request booth space near the entrance, food service, restrooms, or any attraction. Avoid back aisles or obstructed views. 2. Have a clear vision of who your audience is and what you need to emphasize in your presentation. 3. Design an eye-catching display that emphasizes the key points you want to make to your targeted audience. Like it or not, you alone in your booth with tables of literature won’t make an impact in a trade show environment. 4. Consider pre-show advertising to let your customers in the area know where to find you. Make contact with customers and invite them to visit you at your booth. Offer incentives such as show discounts and special gifts. 5. CUT COSTS… plan early, many shows have arrangements for room discounts, airfares, pre-payment discounts, etc. 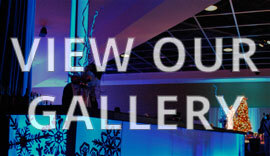 Take advantage of early order rates on carpeting, booth furnishings and other services. 6. SHIP EARLY… Rush shipments are expensive and risky. 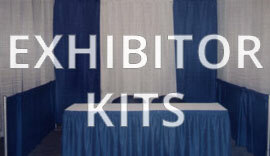 There is no greater headache than not having your booth display or materials at the show. If you exhibit often, having a second display to rotate between shows can easily pay for itself in lower shipping costs and peace of mind. 7. 1. Network, Network, Network. The word is overused, but the message is too often neglected. Just being there is not enough. Use your time to its full advantage to meet the attendees and other exhibitors. You’ll make new contacts, friends, and it will make the event that much more enjoyable. Take full advantage of show related functions and gatherings. 2. Keep a friendly, approchable demeanor and dress appropriately for the occasion. 3. Try to keep your exhibit area open and inviting, using the sides and back for display area. You want to make it easy for prospects to visit. 4. DON’T SIT DOWN… this only signals disinterest on your part and makes it that much easier for prospects to pass you by. If you absolutely must sit, use a tall stool to keep yourself at eye level. 5. Keep track of your leads. Write down information as soon as possible to avoid forgetting key points. 6. Use giveaways to attract visitors. Research has shown that they generate more leads without diluting the quality. It’s funny to think that purchasing decisions can be influenced by a pen, yo-yo, cup or candy, but that’s human nature. 7. Be a good listener. Let visitors complete their thoughts before asking follow-up questions. A little goodwill goes a long way. 8. 1. Follow-up on leads and requests for materials as quickly as possible. 2. Write down an evaluation of the show, your performance, the quality of attendees and of the competition. 3. Look at your results and compare them to your expectations. 4. Always look for ways to improve your presentation, even if you exceeded all of your goals. Never be complacent.